Everyone should be granted the space to be who they are. Journey into The Heart of a Boy. 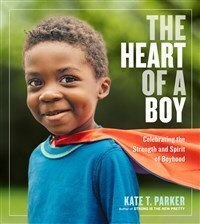 Kate T. Parker, author of Strong is the New Pretty, helps us all to travel into the hearts and minds of young boys in her stunning new book, which debuts on April 2, 2019.